The Mountainview Woodies Classic Boat Club is a group of enthusiasts interested in antique and classic boats of all types, including those made of wood, fiberglass, and aluminum. 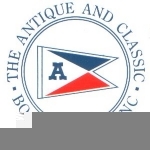 We are based in the beautiful Sebago-Long Lakes region of Maine, and are a chapter of the Antique and Classic Boat Society. We welcome you to attend our annual Antique and Classic Boat Show, held in Naples, Maine, now on the second Saturday of August each year. We invite your participation in our events, and membership in our club, application which is made through the ACBS.